Federal investigators from the D.C. U.S. Attorney’s office recently interviewed former FBI director James Comey as part of an ongoing probe into whether former FBI #2 Andrew McCabe broke the law when he lied to federal agents, reports the Washington Post. So McCabe was found to have leaked information to the WSJ in order to combat rumors that Clinton had indirectly bribed him to back off the Clinton Foundation investigation, and then lied about it four times to the DOJ and FBI, including twice under oath. Investigators from the D.C. U.S. Attorney’s office were likely to be keenly interested in Comey’s version of whether or not he knew about McCabe’s disclosure. 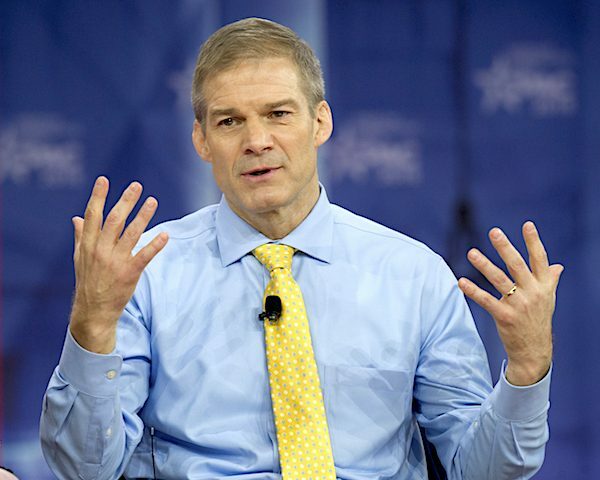 “I have a strong impression he conveyed to me ‘it wasn’t me boss.’ And I don’t think that was by saying those words, I think it was most likely by saying ‘I don’t know how this s— gets in the media or why would people talk about this kind of thing,’ words that I would fairly take as ‘I, Andy, didn’t do it,’ ” Comey said, according to the inspector general. During an April appearance on ABC’s The View to peddle his new book, A Higher Royalty Loyalty, where he called McCabe a liar, and said he actually “ordered the [IG] report” which found McCabe guilty of leaking to the press and then lying under oath about it, several times. Comey was asked by host Megan McCain how he thought the public was supposed to have “confidence” in the FBI amid revelations that McCabe lied about the leak. Comey then appeared to try and frame McCabe as a “good person” despite all the lying. “Good people lie. I think I’m a good person, where I have lied,” Comey said. “I still believe Andrew McCabe is a good person but the inspector general found he lied,” noting that there are “severe consequences” within the DOJ for doing so. Following McCabe’s firing, his attorney Michael R. Bromwich (flush with cash from the disgraced Deputy Director’s half-million dollar legal defense GoFundMe campaign), fired back – claiming that Comey was well aware of the leaks. “In his comments this week about the McCabe matter, former FBI Director James Comey has relied on the Inspector Genera’s (OIG) conclusions in their report on Mr. McCabe. In fact, the report fails to adequately address the evidence (including sworn testimony) and documents that prove that Mr. McCabe advised Director Comey repeatedly that he was working with the Wall Street Journal on the stories in question…” reads the statement in part. McCabe may also find himself at odds with the Department of Justice, as notes he kept allegedly detailing an interaction with Deputy Attorney General Rod Rosenstein raise questions about a memo Rosenstein wrote justifying Comey’s firing. While Rosenstein’s memo took aim at Comey for his mishandling of the Clinton email investigation, McCabe’s notes suggest that Trump told Rosenstein to point to the Russia investigation. Rosenstein’s recommendation ultimately did not mention Russia. 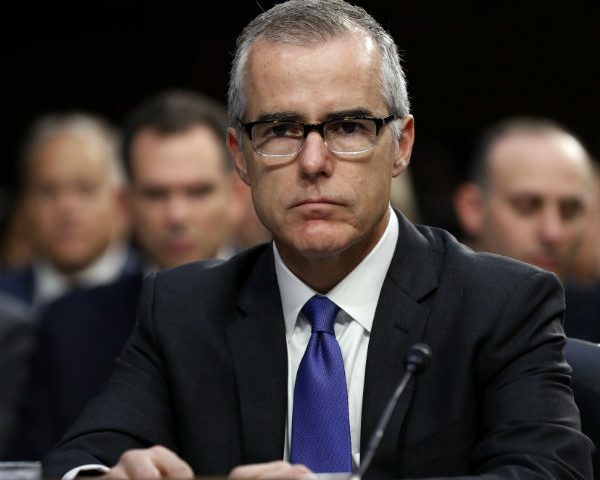 As the Washington Post notes, lying to federal investigators can carry a five-year prison sentence – however McCabe says he did not intentionally mislead anyone. The Post also notes that while Comey’s interview is significant, it does not indicated that prosecutors have reached any conclusions. Lying to Comey might not itself be a crime. But the inspector general alleged McCabe misled investigators three other times. He told agents from the FBI inspection division on May 9, 2017, that he had not authorized the disclosure and did not know who had, the inspector general alleged. McCabe similarly told inspector general investigators on July 28 that he was not aware of one of the FBI officials, lawyer Lisa Page, having been authorized to speak to reporters, and because he was not in Washington on the days she did so, he could not say what she was doing. McCabe later admitted he authorized Page to talk to reporters. The inspector general also alleged that McCabe lied in a final conversation in November, claiming that he had told Comey he had authorized the disclosure and that he had not claimed otherwise to inspection division agents in May. Michael Bromwich replied in a statement: “A little more than a month ago, we confirmed that we had been advised that a criminal referral to the U.S. Attorney’s Office had been made regarding Mr. McCabe. We said at that time that we were confident that, unless there is inappropriate pressure from high levels of the Administration, the U.S. Attorney’s Office would conclude that it should decline to prosecute. Our view has not changed. Whatever Comey told federal investigators, we suspect it eventually boiled down to “McCabe didn’t tell me,” squarely placing responsibility for the leaks – and the lies, on McCabe’s shoulders. Besides arresting mccabe why r they not looking arresting comey? 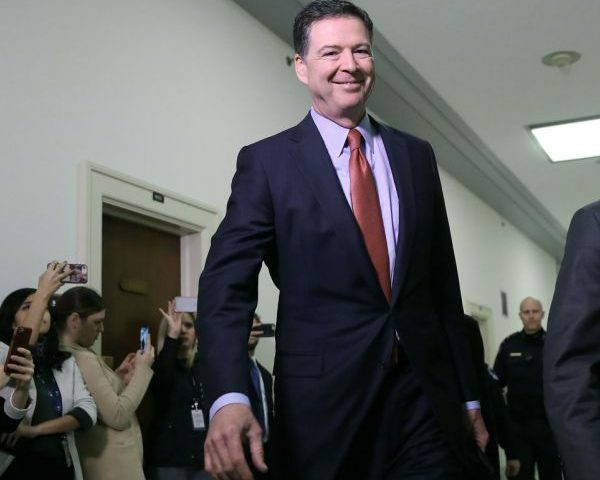 Comey lied to the Oversight committee so why is he not being arrested for lying? They are all LIARS!! 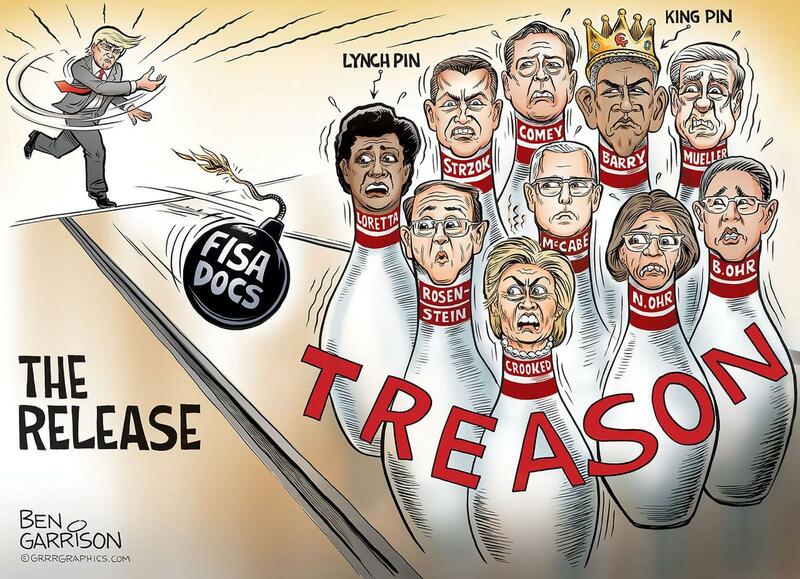 I really hope those honest FBI agents get to come to Judicial and Oversight committees and testify! That would be eye-opening!